RCP provided project and design management services on the new Goodman Office located within the KPMG Building. 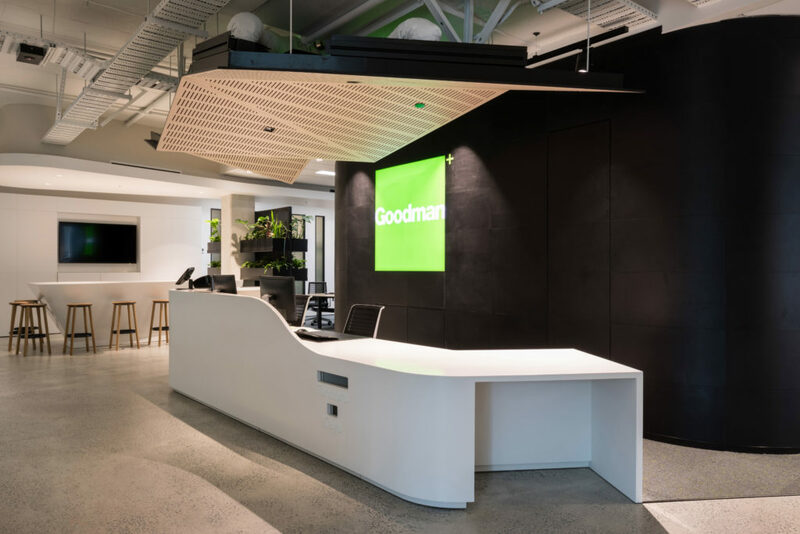 The design process was driven by Goodman’s desire for a collaborative environment promoting flexibility and adaptable ways of working whilst moving towards a reduced paper environment. Architect Creative Spaces brought in the ‘industrial’ look and feel Goodman sought with the use of polished concrete floors and exposed ceilings. The open plan layout utilises all available real estate while the mixture of hard and soft surfaces add texture throughout. A greeting kiosk within the reception area welcomes visitors and doubles as an informal meeting space for impromptu visits while the staff social hub creates a feeling of community with various seating arrangements. The Boardroom and Tech Hub sit upon a raised floor providing a significant landmark within the office. 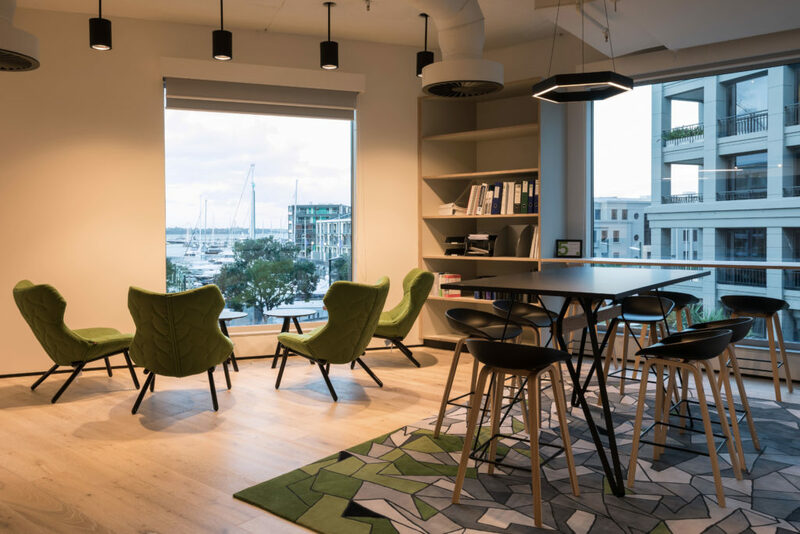 Sit to stand desks, high leaners, collaborative desking options, quiet pods and phone booths make up the central working environment and provide staff with numerous working possibilities. 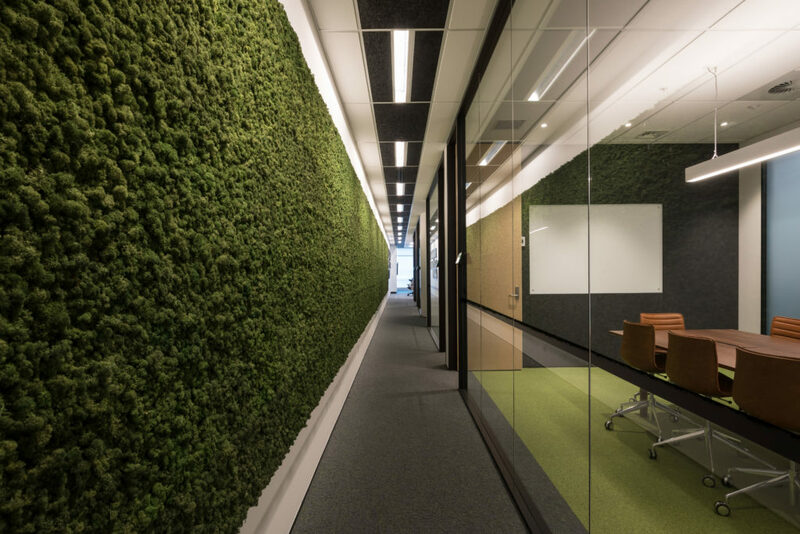 The project is striving toward a 5-star Green Star Interiors rating.